When the first English colony was established in Virginia (and I don’t count the Roanoke debacle) in 1609, the eager participants came with dreams and hopes of easy riches, something akin to what the Spanish had discovered down in South America. Sadly, Virginia had no mountains of almost pure silver like Potosí, nor was gold abundant in any way. Rather the reverse, actually. And those stories of rivers full of sturgeon, of woodlands crammed with mulberry trees (and the accompanying silk worms) proved as false as the myth of El Dorado, leaving the colonists in the rather unfamiliar situation of having to work – and work hard – to survive. One would assume anyone intrepid enough to set off towards an unknown continent would be expecting to have to labour hard to achieve some sort of foothold. Unfortunately, more than half of the first 105 settlers were gentlemen – or their servants – and as such most reluctant to set their hands to farming. No, they wanted to explore and look for gold, all of them hoping to return home extremely wealthy men. Most of them died during the first year. Things changed fast when tobacco was introduced to the colony. This addictive golden weed thrived in Virginia’s fertile soil, and with a huge – and growing – demand for tobacco in Europe, the colonists had at last struck gold. In actual fact, tobacco was already growing in Virginia when the first English settlers landed, but this was a rougher, less tasty variant than the one the Spanish were importing to Europe. The Spanish cultivated the tobacco on huge plantations in the Caribbean, and it wasn’t until someone decided to fetch (steal?) some seeds from these islands that the tobacco industry in Virginia was born. 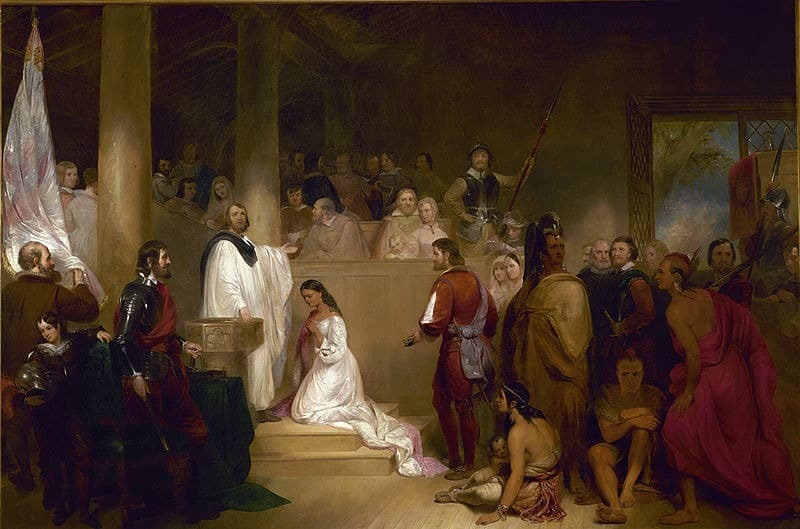 It is impossible to talk about tobacco in Virginia without mentioning John Rolfe – the man who procured those Caribbean seeds. 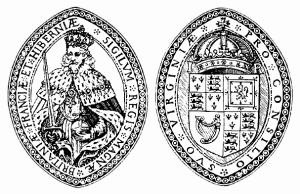 John set off for Virginia in 1609, was shipwrecked on Bermuda, lost his new-born daughter and wife along the way, and landed in Virginia in May 1610. In 1614 he married Pocahontas, daughter of the Powhatan chief, and from what can be gleaned from the few historical documents left to us, it seems he was in love with this new wife of his, despite her heathen background. One hopes Pocahontas – or Rebecca as she was called after her christening – was in love with him. (No, Pocahontas was never, as far as we know, in love with dashing John Smith.) Pocahontas gave birth to a son, accompanied her husband to England and sickened and died, whereupon John left his son in the care of relatives and returned to Virginia. It seems John dedicated the rest of his life to improve the quality and quantity of the Virginia Tobacco. He must have reaped quite some success, as twenty thousand pounds of tobacco in 1617 had become half a million pounds in 1630. 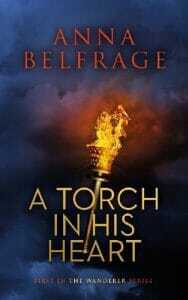 By then, John Rolfe was long dead. He died in 1622, a year in which a third of the colonists in Virginia were massacred by the Native Americans. In a desperate attempt to rid themselves of the intruders, the Powhatan attacked the colonists in one well-planned nightly raid, destroying most of the settlements outside of Jamestown. Whether John was one of their victims is uncertain. Tobacco is a labour intensive crop. With ever more acreage being put under cultivation, the Colony of Virginia screamed for people to work the expanding fields, and so the age-old system of indentured servants was transplanted from England to the colony – in a somewhat reworked form. The indenture system set in place in Virginia meant that the planters carried the cost for transporting over the servants, who paid nothing for their passage and were placed under contract for four to seven years to work off the debt of transportation. The life that awaited the newly arrived labourers was harsh: Acres to be cleared, planted and harvested, day after gruelling day in a hot and unfamiliar climate, and all to produce hogshead after hogshead of fragrant tobacco leaf, thereby enriching the plantation owners further. Conditions were so severe that forty per cent of the indentures died before the contract ended. Most indentured servants came over voluntarily. Quite a few indentured servants went anything but willingly, being deported by the powers that were for various reasons. Some were criminals, others were outspoken defenders of their faith, yet others simply protested against the system in general. 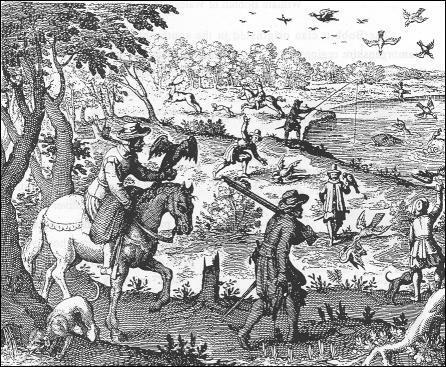 As early as 1620 King James decided that shipping out these unwanted elements to the colonies was a smart way of reducing their presence in his kingdom while furnishing much needed labour to the plantations. Over the coming decades both Oliver Cromwell and the latter Stuarts would continue doing so. Tobacco built a lot of wealth in colonial Virginia. A man cultivating a few fields of tobacco by himself would on average earn five – seven times more than a skilled craftsman in England. Add some more land, five or six field hands, and the annual income would be close to that of a wealthy gentleman. Without the tobacco, it is questionable whether Virginia would ever have achieved the importance it came to have at the birth of the American nation. Actually, without tobacco Virginia might have become yet one more failed colonial attempt. But for the people who were forced to participate in the production of the golden weed, the tobacco was nothing but a cruel and demanding taskmaster. In my book Like Chaff in the Wind, my main character Matthew Graham is abducted, indentured, and carried over the sea to Virginia, living in close to inhuman conditions on a tobacco plantation. If nothing else, this very degrading experience cures him of any desire to smoke. It also leaves him scarred for life. Whether or not he survives his ordeal … well, that would be telling, wouldn’t it?